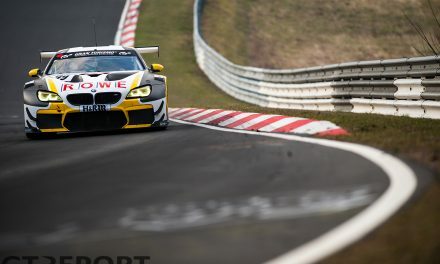 The fourth round of the VLN championship at the Nürburgring-Nordschleife saw Matias Henkola return to the podium. 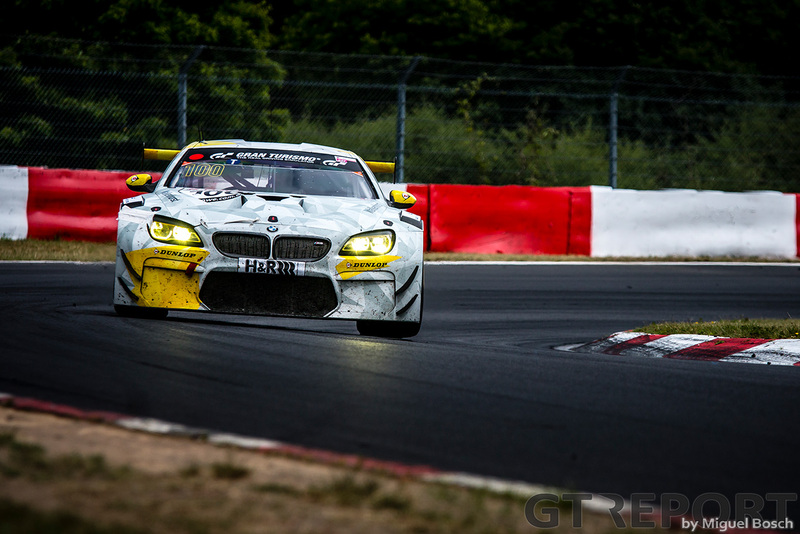 After a tense finale battling for second, the number 100 Walkenhorst Motorsport BMW M6 GT3 racer took third place. 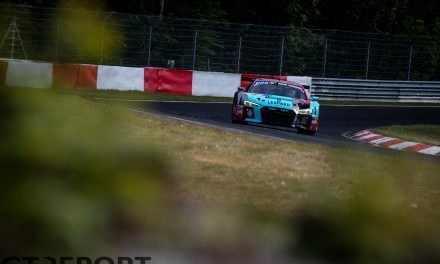 Hellbent on avenging the missed opportunity at the 24 Hours of the Nürburgring, Henkola and co-drivers Christian Krognes and Michele Di Martino went into the 48. 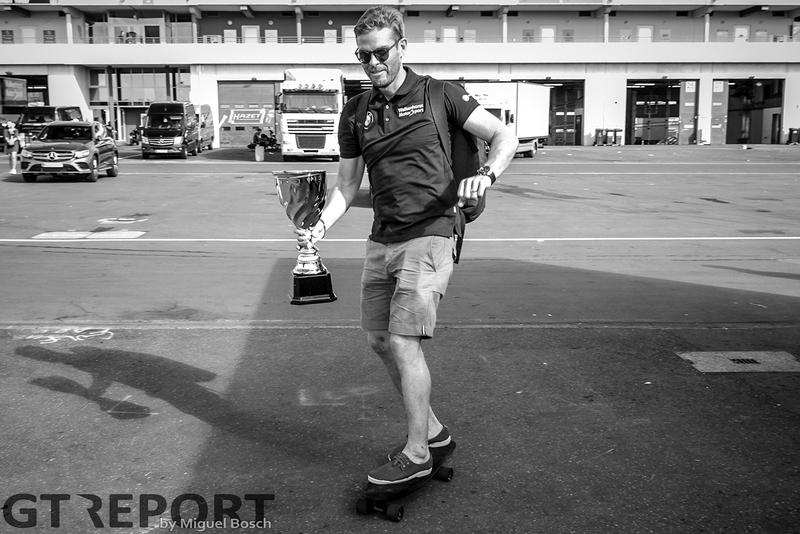 Adenauer ADAC Rundstrecken-Trophy with spirits high. 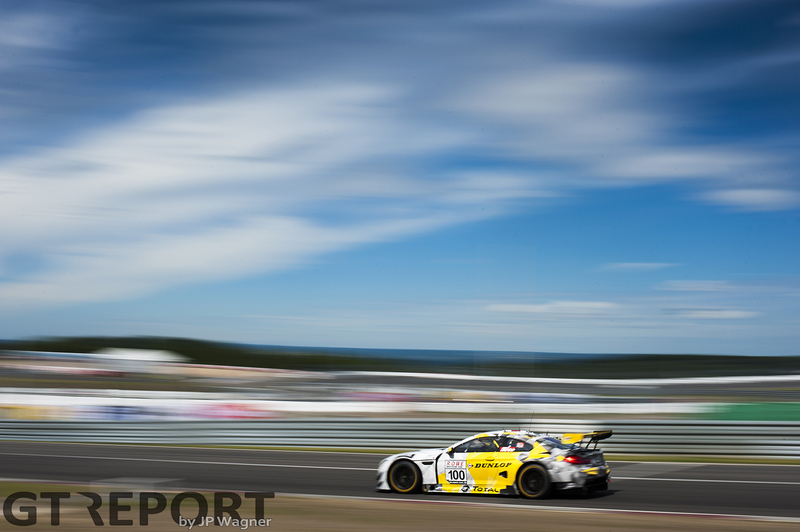 Krognes took charge of the Dunlop-branded BMW M6 GT3 for the start, dropping one position to fourth place in the early laps as he struggled with the soft tyre compound which degraded quicker on the hot tarmac than expected. The team decided to limit the first stint to 5 laps and let Henkola take over from there. The task ahead for Henkola was much more straight-forward than his teammate’s. 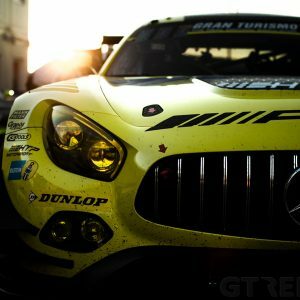 Rather than joining the race in the middle of the thick of it, the Finn raced clear of both the leader in front and the pursuing Manthey Racing Porsche 991 GT3R behind him for much of his stint as they were offset with a different pitstop strategy. The only job today would be to plow through the traffic of slow cars and keeping the yellow Porsche behind. 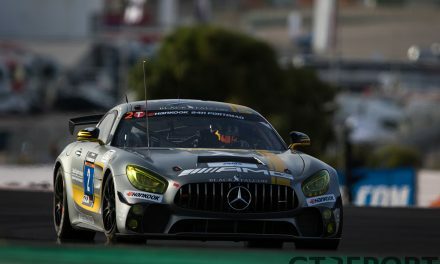 “If you don’t take the slower cars into account, I had a nice gap to run in at my stint,” Henkola says about his part of the race in which he momentarily ran in front of the eventual winner. “The Falken Motorsports BMW M6 GT3 came out of the pits just behind me and I managed to keep it there for one lap. They just had more pace and were more aggressive in the traffic, so they overtook me at start-finish on lap 9. Next in the car was Di Martino. 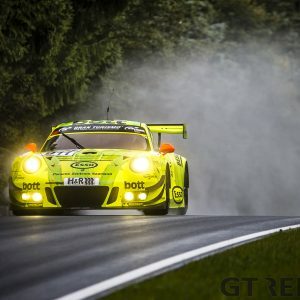 A faster pitstop by the Porsche team due to the longer mandatory minimum pit stop time for the BMW saw Manthey Racing wrestle itself in front of the Walkenhorst privateers. 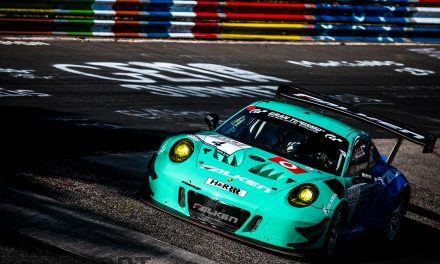 From the garage, Henkola watched Di Martino close the gap and bring the fight to the Porsche, followed by Krognes–back in the car for the final stint–taking the gloves off in a tense brawl for second. Despite Krognes’s all-out push, the team missed the silver by mere tenths of a second, celebrating a hard-fought third-place finish. Next up for Henkola is the Total 24 Hours of Spa, held from the 27th through 30th July in the Belgian Ardennes. 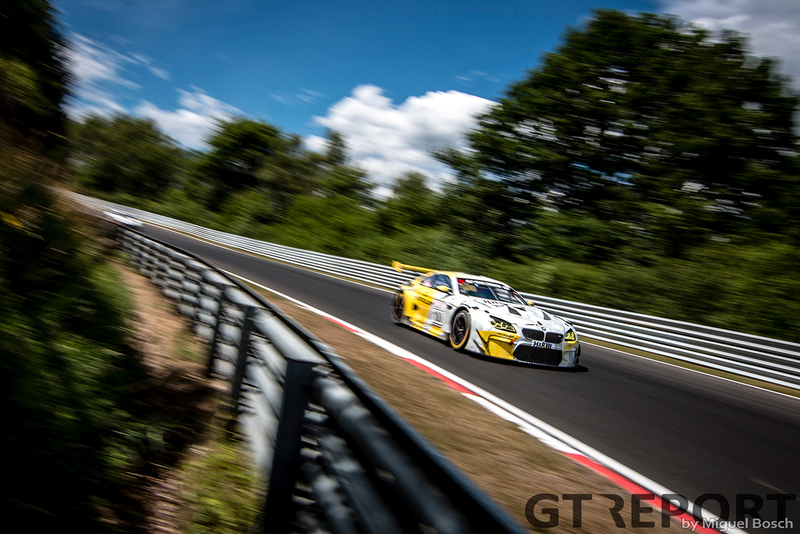 He’s joined by compatriot and 2015 winner Markus Palttala, as well as Christian Krognes and Nico Menzel in the BMW Motorsport Juniors-supported Walkenhorst Motorsport BMW M6 GT3 for his Spa debut.